The portfolio of HPE StorageWorks MSL6000 Tape Libraries provide centralized backup to a single automated device freeing valuable IT resources for more strategic work. 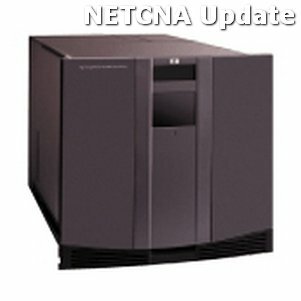 Ideal for medium to large IT networks with or without a storage area network (SAN) experiencing uncertain data growth. The MSL6000 Tape Libraries provide change without chaos simplicity without compromise and growth without limits to meet even the most demanding IT network requirements. The MSL6000 Tape Libraries are easily managed through an intuitive GUI control panel and integrated remote web management allowing simple management capabilities from any remote or on-site location. In addition each library is available with HPE world class diagnostic tool HPE Library and Tape Tools at no additional charge..